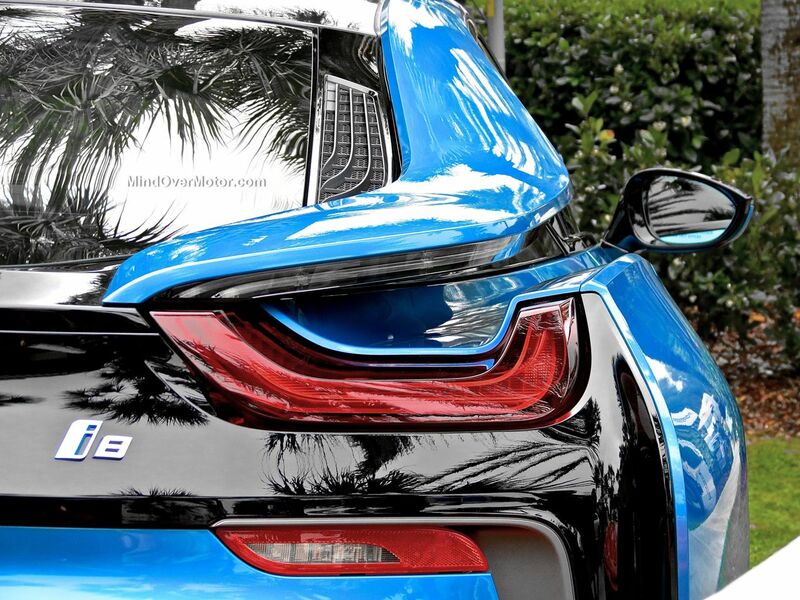 The BMW i8 is Proof of Progress, and I Love It! I saw my first BMW i8 out in the wild the other day, but only for just long enough to be awestruck, and then it was gone. 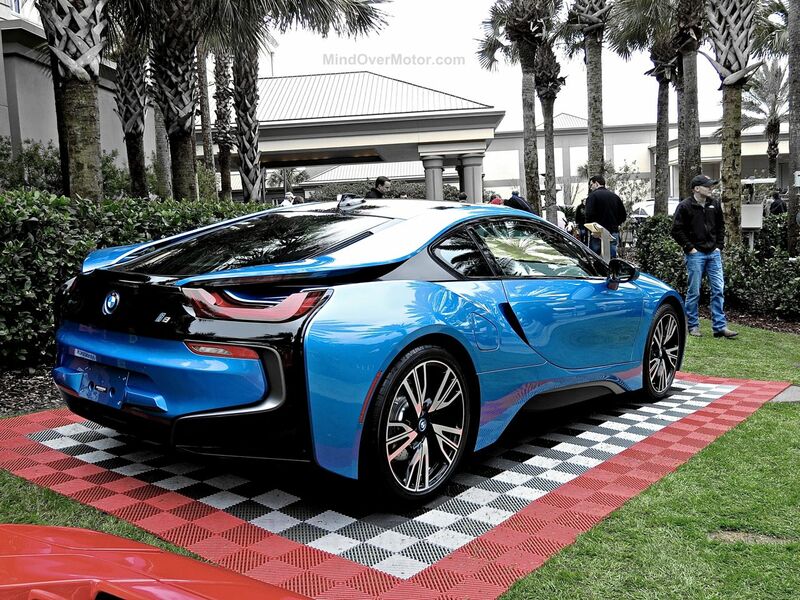 While I didn’t manage to get a photo of that silver one on the road, I do have the photos from the i8’s first viewing at Amelia Island last year. I must admit that I have love for everything that the BMW i8 represents, and I don’t think BMW could have executed this plug-in hybrid sports car any better. I remember in Monterey this year, we saw one parked in front of a restaurant, right next to a green McLaren P1. 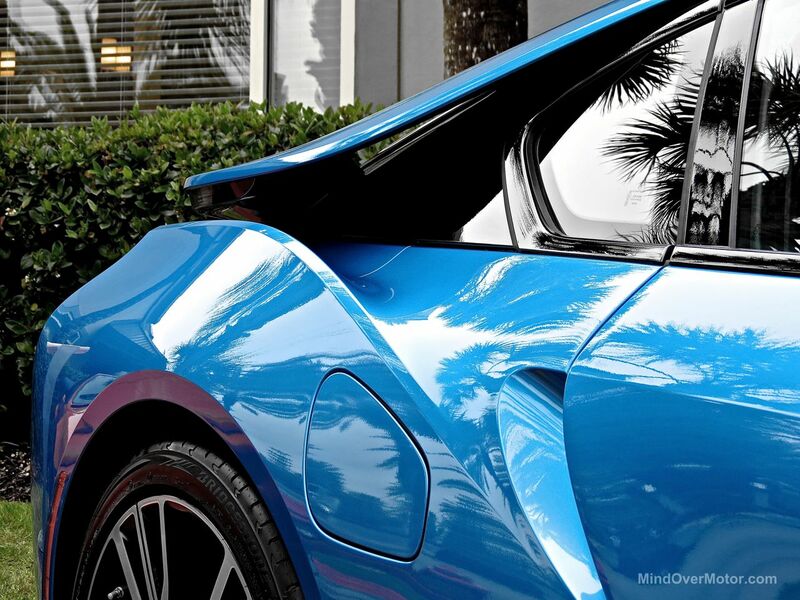 Which car drew the crowd?… The i8. In fact, the most memorable part of that night was when I spent 10 minutes trying to convince a group of people that the i8 wasn’t a concept car, but was, in fact, on sale. They kept saying BMW would never make a car that looked so radical and actually expect to sell them. I had to pull out my phone and show them the i8 on BMW’s website, complete with its $136,000 base price. At that point, they finally believed me, and were wowed. The BMW i8 is in the same price range as the higher-end Porsche 911 Carrera models, but BMW has given it the head-turning exotic appeal of a Pagani or a McLaren P1. 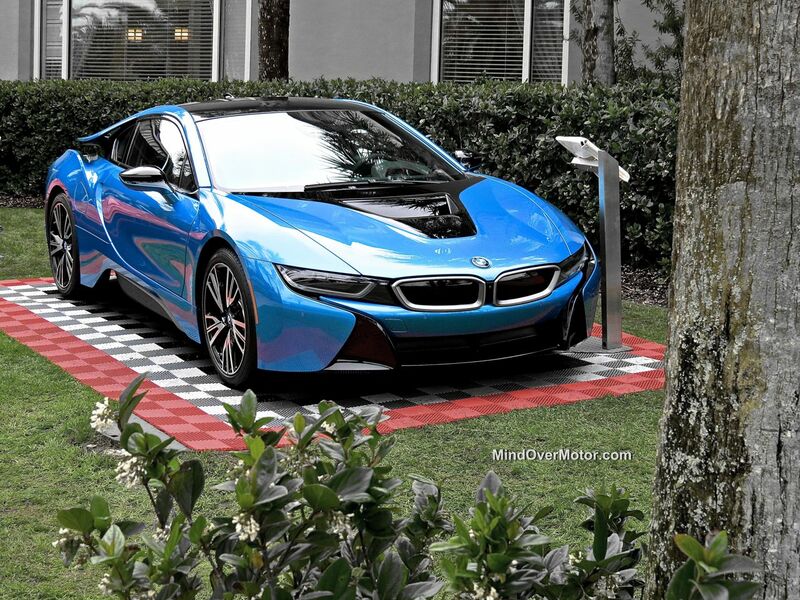 The i8 looks like nothing else on the road. It even has show-y gullwing doors so you can make a grandiose entrance, or so you can’t get back into your car if people park on either side of you. 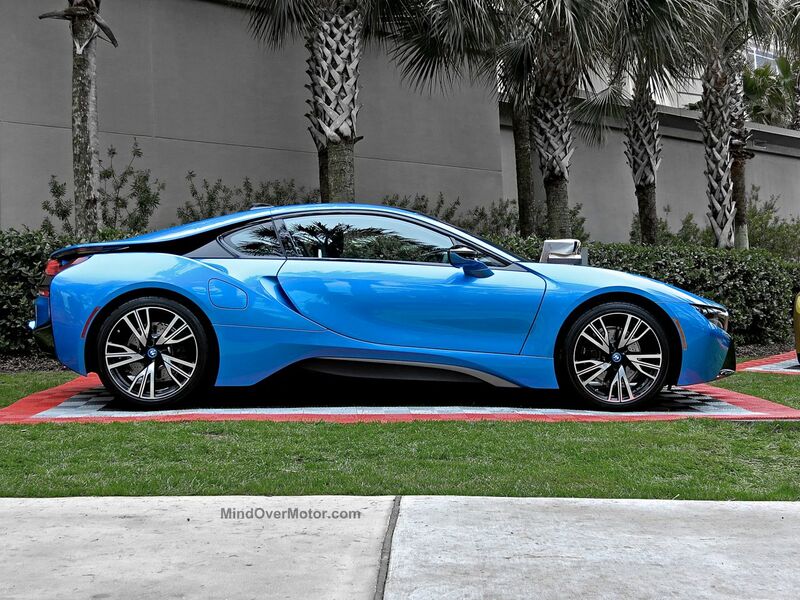 Yes, that wonderful supercar idiocy is present and accounted for in the i8. Performance wise, the i8 isn’t really a supercar by modern standards, but it’s plenty fast to have a lot of fun with. 0-60 takes 3.8 seconds, the 1/4 mile goes in 12.4 sec, and it tops out at 155mph. The kicker is the fuel economy. 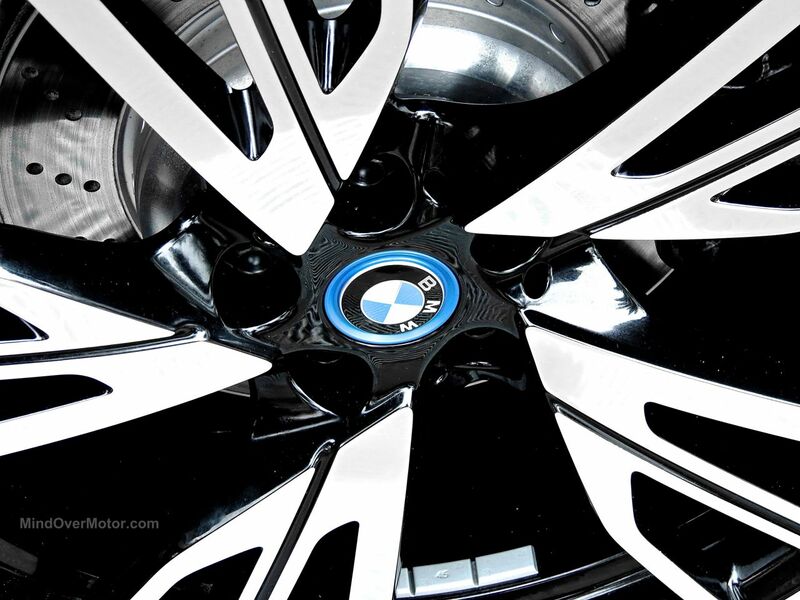 Where a Porsche 911 Carrera S can manage a respectable 29mpg, Motor Trend saw an Average of 45mpg in the BMW i8. 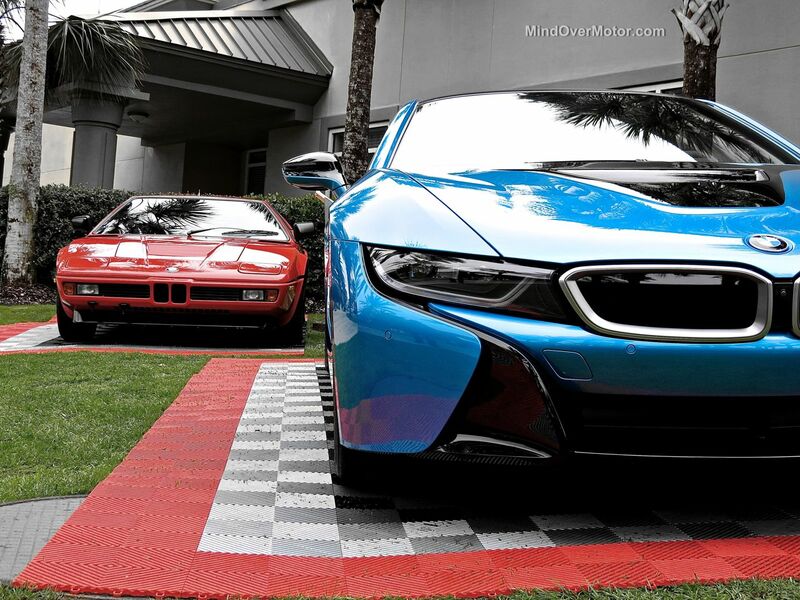 Put in 2004 terms, the i8 has the performance of a Ferrari 360 with the fuel economy of a Toyota Prius. This is progress people. Definitely a head turner! Love that blue.